I dropped Bro. Trevor off in Boynton Beach at the ‘Assembly Of The Voice Of The Seventh Angel‎’ (Brother Jean Louis – Pastor) where he was to preach at their 8AM service, and then return to West Palm Beach to preach at ‘Spirit & Truth Tabernacle‘ (Bro. Jack Duff – Pastor). On my last trip to Florida in December I had the privilege of speaking at the two Sunday morning services back to back like that, and it can be a pretty tight schedule. I drove on to Miami where I preached the morning service at ‘Eagle’s Temple‘ (Bro. Bernard Jean-Mary – Pastor). The saints in Miami seemed very responsive to what was being said during the service, and I trust that each one of us were a little closer to God when we left the church that day than we were when we had entered. After the service I went to lunch with Bro. Bernard, and discussed some details of an upcoming overseas trip (Lord willing). When lunch was over I drove back to West Palm Beach, arriving just in time to change clothes, update Bro. Trevor, and Bro. Jack with the details of my trip to Miami, and print off my sermon notes before leaving for the evening service in Boynton Beach. I was happy that Bro. Trevor, and Bro. Jack were both able to go with me to this service, and we really had a good time in the LORD. This was the sixth service I had preached in five nights, so I was beginning to feel a little tired, but Bro. Jean brought me to the platform with the song ‘I Must Tell Jesus‘, and suddenly I didn’t feel so tired anymore. I preached on ‘The Accepted Sacrifice‘, and the LORD impressed many things on my heart to share with the saints during the sermon for His Glory. Bro. Jack sang a couple of songs at the end of the service, and then we said goodbye to our friends in Boynton Beach. Bro. Jean, and the saints in Boynton Beach have come to hold a special place in our hearts. We have preached their frequently over the past year, and the LORD has always been gracious to send us a fresh outpouring of His Spirit every time we assemble there. When I preached there on Thursday night (during this January trip to Florida) several of the brothers welcomed me ‘home’, and it has certainly come to feel like a second home because we always feel so welcome there. After leaving Boynton Beach we stopped by ‘Rapturing Faith Tabernacle‘ (Bro. Darrel Wesco – Pastor), and were able to listen to the last part of their evening service. Bro. Wesco had Bro. Trevor, and I come up to greet the saints at the end of the service, and it was certainly an honor to speak briefly to the believers there. Bro. Trevor made the statement to me after the service that, “If we had not been (in the exact same place) ten years ago, then we would not be (here) now”. It was ten years ago that we attended Bro. Wesco’s special meetings, and met Bro. Jack Duff who has become one of our dearest friends, and ministering brother. Had we not met Bro. Jack in those meetings we may have never had the opportunity of meeting, and speaking for many of our other minister friends in Florida. Monday morning Bro. Jack, Bro. Trevor, and myself were able to meet Bro. Lino Tirado for breakfast. Bro. Lino attends ‘Rapturing Faith Tabernacle‘ (Bro. Darrel Wesco – Pastor), and is a very gifted interpreter. I had asked Bro. Lino to share his testimony with us (he has had the privilege of interpreting for Bro. Oral Roberts, and many other ministers of the Gospel), and he was very gracious in doing so. We had a very nice time of fellowship with him, and I hope that the LORD will provide an opportunity for him to interpret for us someday. After breakfast Bro. Jack, and Bro. Trevor took me to the airport and we parted ways once again. Two of the hardest things about our travels is that sometimes we have to leave our families behind to go and visit our brothers and sisters from different areas, and then we have to leave our brothers and sisters (old friends & new) to return home. We were certainly happy to return home to our families that we had missed while we were away, but we always miss our brothers and sisters from all of the churches we visit as well. After spending most of the day with Bro. Jack, and Bro. Trevor, I went by ‘Spirit & Truth Tabernacle‘ (Bro. Jack Duff – Pastor) to study for a while before the evening service. The LORD was mindful of us, as we certainly felt His presence in the service Friday night. I preached on the topic of ‘The Bleeding Sacrifice’, emphasizing the need for sincerity when we accept the Sacrifice of the cross. After the service, Bro. Jack invited the youth from ‘Spirit & Truth‘ to join us at a local pizza restaurant for some fellowship. We enjoyed the time we were able to spend with Bro. Jack, and Bro. Caleb Wesco (Bro. Jack’s nephew, who is also a young associate minister at ‘Spirit & Truth’) talking about the LORD, and discussing the evening service. We drove the three hours from the East coast of Florida to Sarasota (on the West coast of Florida). Bro. Trevor and I both had the privilege to speak in a Youth Service at the ‘House of Fellowship‘ (Bro. Danny Stemen – Pastor). I felt led to share my testimony, and then Bro. Trevor preached a stirring sermon on ‘Separation‘. Several believers responded by coming to the altar for prayer at the end of the service. There was a ‘potluck‘ following the service, where we had a wonderful time of fellowship with Bro. Danny, and some of the other saints from Sarasota. We were truly blessed, and encouraged by the spirit of love, and unity that we felt from the believers there. We stopped briefly in Okeechobee on our way back to West Palm Beach, Saturday night. Bro. Smiley, and his family were able to join us for a short time of fellowship together. It was good to see Bro. Smiley (my friend, and brother in Christ) again. He had been out of town ministering in Lima, Ohio during my last trip to Florida in December, so I had not seen him since May of 2010. My plane departed for Florida on Wednesday morning. (Bro. Trevor was gracious enough to forgo some sleep to wake up very early, and take me to the airport). Our good friend, Bro. Jack Duff (Pastor of ‘Spirit & Truth Tabernacle’ in West Palm Beach, FL) picked me up at the airport, and we enjoyed some food and fellowship over the next couple of hours. After driving to Miami I preached at ‘Alpha Omega Tabernacle‘ (Bro. Charlie MacDonald – Pastor). The LORD was certainly gracious while I was there in confirming to me that I was in His perfect will, by permitting me to cross paths with a family from another country that I never thought I would have the opportunity to meet in person. It was a pleasant, but unexpected surprise which I cannot believe was simply a coincidence. When the service was over I was able to spend some time with Bro. Charlie, and his family. Bro. Hugo MacDonald (Bro. Charlie’s son) is a young minister as well, and has become a dear friend. I drove back to West Palm Beach after a nice time of fellowship. Wednesday had been such a wonderful beginning, I knew the LORD had more good things in store for us the rest of the week. Bro. Trevor’s plane arrived on Thursday morning, so Bro. Jack and I picked him up at the airport. After some more food and fellowship, Bro. Jack took Bro. Trevor to preach at ‘Bible Truth Tabernacle‘ in Okeechobee (Bro. Willie Smiley – Pastor), while I went to Boynton Beach to preach to the saints at the ‘Assembly Of The Voice Of The Seventh Angel‎‘ (Bro. Jean Louis – Pastor). We had the privilege of speaking to the believers at the ‘House of Fellowship‘ (Bro. 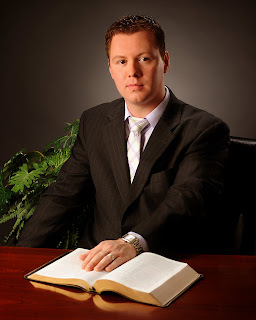 Danny Stemen – Pastor) on Saturday afternoon (01/15/2011). It was certainly a wonderful time of fellowship with the saints there. We wanted to get pictures with all of the pastors we had the privilege to fellowship with last week, but unfortunately we were so busy it completely slipped our mind until the last service (Sunday night). This is Brother Trevor, and myself with Bro. Jean Louis (pastor of the ‘Assembly of the Voice of the Seventh Angel’ in Boynton Beach, FL). By the time this picture was taken I had preached six services in five nights, and Bro. Trevor had preached four services in four night so we were a couple of tired preachers. A few months ago as I was praying I told the LORD that there were several places I would like to visit, and minister to, but be able to pay for my airfare so the saints there would not feel obligated to take care of my expenses. In my own thinking I had considered that maybe I would maybe receive a large offering somewhere else, and be able to apply it to the airfare for the upcoming trips in answer to this prayer. (God doesn’t always do things the way we expect). A week or so later I received a new credit card in the mail, because the bank we use had bought out another similar bank which had their own credit card. (Previously our bank had used a third-party credit card that did not acquire ‘points’ for purchases made). I was informed that this new card had a large amount of ‘points’ that had been transferred over from purchases made on the third-party card. As I investigated this, it turned out they had pro-rated the ‘points’ back to the life of the other cards, and I had enough for three free flights! As I called the brothers I had on my heart (in regards to the prayer that had been answered) things began to come together perfectly as we planned for an extensive trip to Florida in January. A short while later one of the brothers called me back, and asked if I would be interested in using one of the flights for a weekend trip to Florida in December as well (since he would be out of town that weekend, and would like for me to fill in for him at his church while he was gone). My wife and I were married for five years on December 10th, 2010, and I left for Florida the next day (Saturday, December 11th). I preached three different services on Sunday, December 12th, and it was just the LORD helping me because my voice and throat were still recovering from a sinus infection that had caused me to lose my voice almost completely several days the week before. I am so thankful to the LORD for answering my prayer in an unexpected way (to GOD be the glory), and I certainly appreciated my wife for being so selfless, and loyal in agreeing to celebrate our anniversary on a different weekend so I could go speak to a part of the Bride of Jesus Christ in Florida. January 2011 Florida services soon. Things have been put in motion for the third airplane ticket to be used later this year (LORD willing) as well. I will post the testimony in regards to that once everything has been confirmed. I had the privilege of speaking to a portion of the Bride of Jesus Christ this past weekend at ‘The Tabernacle Of The Lord’ in Townville, SC (Bro. 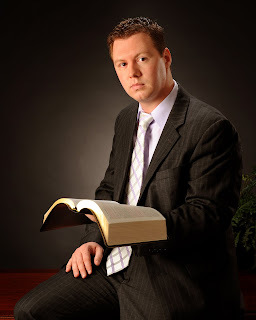 Luke Gibson – Pastor). On Saturday night we certainly felt the presence of The Lord come down among us in the closing worship service, and several brothers and sisters came forward for prayer. On Sunday morning Brother Luke continued with ‘The Token’ series he has been preaching on, and it was a stirring sermon that encouraged the believers to never forget the importance of making sure that The Token is applied. Sunday evening it fell my lot to preach again, and The Lord visited His people once more. We saw the fruits of the meetings as barriers of disfellowship began to crumble. Satan sure fought our little family with sickness on the way home Monday, but we made it back safely late last night. We are homesick for the wonderful fellowship, and the spirit of worship we felt among the brothers and sisters who we are privileged to call our friends in South Carolina. My plane left Louisville, KY at 6:45AM on Wednesday morning. I had a short layover in Charlotte, NC, and arrived in West Palm Beach, FL around 11:15AM. (Many thanks to Brother Trevor Emond for taking me to the airport very early in the morning, and to Brother Jack Duff for his hospitality and kindness during my entire trip to Florida). Wednesday night I preached on ‘The Quickening Power‘ to a Spanish-speaking group of believers at Alpha Omega Tabernacle in Miami, FL (Brother Charles MacDonald – Pastor). Brother Christian from their church was kind enough to interpret the sermon along with me into Spanish. Thursday night I preached on ‘The Order Of Revival‘ at Bible Truth Tabernacle in Okeechobee, FL (Brother Willie Smiley – Pastor). The Lord continues to prove that wherever two or three are gathered together in HIS Name HE is always ready, and willing to appear in our midst. The saints at Brother Smiley’s church provided a warm welcoming spirit, as did the other churches I had the privilege of visiting during this trip. Friday night I had planned to speak on ‘When The Minority Becomes The Majority‘ to the Haitian group of believers at Eagle’s Temple in Miami, FL (Brother Bernard Jean-Mary – Pastor). After I read the Scripture that the Lord had brought to my attention for that sermon I started preaching, and felt led not to read my title, but to just continue speaking along the line the Lord was leading. I wound up never returning to my notes or the subject I had intended, but spoke instead on ‘Longing For Fellowship‘. God knew that is what the believers there needed to hear, and HE deserves the glory (as always) for leading me in what to say. Brother Bernard interpreted the sermon along with me into Creole. Saturday I was able to fellowship with some precious brothers (Brother Jack Duff & Brother Willie Smiley), at a birthday party for Brother Smiley’s daughter. I spent most of the evening in prayer & study for the services on Sunday. Sunday morning I preached on ‘Looking For New Light‘ at Spirit & Truth Tabernacle in West Palm Beach, FL (Brother Jack Duff – Pastor). The Lord proved marvelous again in leading me down some paths that really seemed to strike home with the believers there. After the service I had the honor of playing some music with Brother Jack & some of his young, but very talented musicians (Brother Caleb Wesco & Sister Rachel Wesco). Sunday night I preached on ‘The Quickening Power‘ to the Haitian group of believers at Assembly Of The Voice Of the Seventh Angel in Boynton Beach, FL (Brother Jean Louis – Pastor). Brother David from the church there interpreted the sermon along with me into Creole. The presence of the Lord was definitely felt in the service, and Brother Jack made the statement that he felt (as with the wine at the marriage in Cana of Galilee); God had “saved the best for last”. After the service Sunday night I had the privilege to fellowship for a couple of hours with some of the young people from Spirit & Truth (Brother Jack Duff’s church) who had gone with us to the service in Boynton Beach. I felt led to have an impromptu Questions & Answers session with the young people, and upon consulting with Brother Jack about it he felt that it would be a good idea as well. I sat around the table with the young people and tried to answer their questions (with the help of the Lord) as best as possible. I told them they could ask any questions related to the Bible, or the Message, or any type of struggle they were having in their individual spiritual lives. They came up with some very good (and some very hard) questions. Many of the questions were things I had questioned myself over the previous years as a young person, and with some of the other questions the Lord was faithful to bring Scriptures and quotes to my remembrance that could be easily applied to the question at hand. Monday morning my plane left West Palm Beach, FL at 6:45AM, and I arrived back in the Louisville airport around 11:30AM. Praise the Lord for the fruits we have seen from the services, as we know that only HE is able to bring the increase.